Def Leppard's classic Hysteria album turns 30 years old on 3rd August and the new documentary Step Inside: Hysteria At 30 is now available. The band's best known and biggest selling album will turn 30 on 3rd August 2017. It was released on Monday 3rd August 1987. The new 30th anniversary reissue including the deluxe 5CD/2DVD box set will be released on Friday 4th August to celebrate and coincide with this anniversary. Part One of the new mini-documentary has now been released on by udiscovermusic. It features interviews with Joe, Phil, Sav and Rick talking about the making of the album, the 1978/88 tour and the album's massive success. View Part One now which lasts for 9 minutes and features the band talking about how they started the writing/recording process in early 1984, Rick's accident and return to drumming and recording techniques. 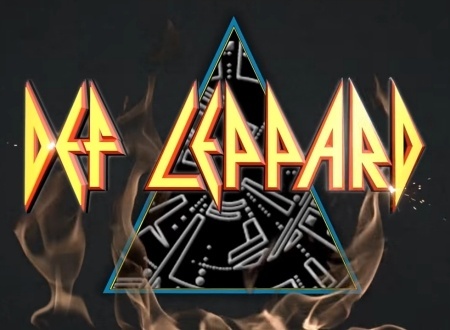 Phil Collen - "It's typical Def Leppard. It's the chanting, big vocals, massive drums, huge guitars." Joe Elliott - "It's the 80s. It's proudly the 80s. I don't have any problem with going 'Ooh it's a bit 80s.' Yeah, we defined the 80s. We invented it." 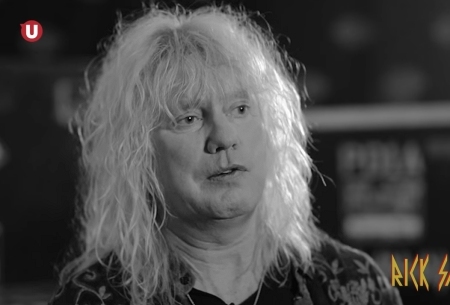 Rick Savage - "No matter how long it takes or what we have to go through to make this record how we want it to be, we're gonna do it." Rick Allen - "I think all of the ups and downs and everything that happened is totally reflected in the record." Joe Elliott - "We didn't wanna be a band in Yorkshire. We wanted to be the biggest band in the world." View the film at udiscovermusic.com where you have to sign up to a mailing list to view it.